Whenever patent eligibility issues under 35 U.S.C. §101 go up to the Supreme Court for review, I’m often curious how firms, including firms on amicus briefs, advocating for limited interpretation of §101 navigate positional conflicts of interest. For example, arguing on behalf of one client that computer implemented methods should not be patentable would seemingly be to the detriment of a prosecution client that is currently claiming such an invention or owns patents directed to such inventions. There is a recent article on positional conflicts of interest in the Texas Law Review available at this [Link]. Perhaps somebody can talk David Hricik into covering this issue on Patently-O. Chief Judge Paul Michel, who retired relatively recently from the Federal Circuit, has filed an amicus brief with the Supreme Court in the Alice Corp. Pty. Ltd. v. CLS Bank Int’l., et al. appeal. I was having a hard time finding a copy of the amicus brief on the internet today; so, I thought it might be useful to make it available [here]. 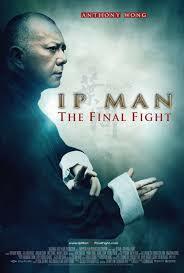 The movie “IP Man — The Final Fight” is now available on Red Box. I couldn’t help but wonder if the title is foreshadowing the upcoming battle in CLS v. Alice. Application No. vs. Serial No. The present application (U.S. Application 10) claims priority under 35 U.S.C. § 120 as a continuation of U.S. Application Serial No. 12/029,031 (U.S. Application 8), filed February 11, 2008, which is a continuation of U.S. Application Serial No. 11/352,614 (U.S. Application 6), filed February 13, 2006, which is a continuation of U.S. Application Serial No. 10/412,634 (U.S. Application 4), filed April 10, 2003, which is a continuation-inpart of International Application No. PCT/FR 01/03258 (International Application 2b), filed October 19, 2001. Curiously, the PTO search page still allows one to search by “application serial no.” but no longer by “application series code.” So, every “application serial no.” search produces about four to five results. This is a pretty neat slide on the PTO website [Link]. I had one thought after review — thank you David Kappos for all you did! Justice Breyer’s concurring opinion in Bilski v. Kappos, 130 S. Ct. 3218, 3258 (2010) stated that the Court has long held that “[p]henomena of nature, though just discovered, mental processes, and abstract intellectual concepts are not patentable” under § 101, since allowing individuals to patent these fundamental principles would “wholly pre-empt” the public’s access to the “basic tools of scientific and technological work.” Justice Breyer cited Gottschalk v. Benson, 409 U.S. 63, 67, 72, 93 S.Ct. 253, 34 L.Ed.2d 273 (1972); Diamond v. Diehr, 450 U.S. 175, 185, 101 S.Ct. 1048, 67 L.Ed.2d 155 (1981); and Diamond v. Chakrabarty, 447 U.S. 303, 309, 100 S.Ct. 2204, 65 L.Ed.2d 144 (1980) for this point. In the recent oral argument of SmartGene v. Advanced Biological Industries, a Federal Circuit panel heard argument over whether a claim that arguably would be patent eligible under a “preemption” analysis could still be found patent ineligible under a “mental steps plus computer” analysis. The patent owner drew a tough panel for the appeal — Judges Lourie, Dyk, and Taranto. Judges Lourie and Dyk’s opinions on §101 issues are well-documented — Judge Taranto’s views, less so. During the oral argument, Judge Lourie initially asked counsel for the appellant/patent-owner whether the Supreme Court has stated that a “preemption” analysis is more important than a “mental steps plus computer” analysis, while Judge Dyk asked which case states that “preemption” is the sole test for patent eligibility. While not necessarily arguing that preemption is the sole test, the appellant responded to the questioning with a lengthy line of Supreme Court and Federal Circuit cases where the courts have focused on preemption: [Listen]. Judge Lourie later gave counsel for appellee an opportunity to respond: [Listen]. Thus, claim 3’s steps can all be performed in the human mind. Such a method that can be performed by human thought alone is merely an abstract idea and is not patent-eligible under § 101. Methods which can be performed entirely in the human mind are unpatentable not because there is anything wrong with claiming mental method steps as part of a process containing non-mental steps, but rather because computational methods which can be performed entirely in the human mind are the types of methods that embody the “basic tools of scientific and technological work” that are free to all men and reserved exclusively to none. Benson, 409 U.S. at 67, 93 S.Ct. 253. Given that avoiding “preemption” is the fundamental policy behind patent ineligibility cases, it will be interesting to see how the panel resolves the inherent conflict behind (1) a preemption analysis that gives full force and effect to all elements of a claim and (2) the tortured logic of recent cases that disregards entire elements of a claim. In my opinion, disregarding claim elements for section 101 purposes creates an inconsistency in the application of the law. It is illogical to think that Congress intended all elements of a claim to be given full force and effect under §§102, 103, 112, and 271 — but not under §101. During the oral argument, Judge Lourie followed up the preemption questioning by proposing a broad strawman claim — as opposed to the narrow claim language under review — that could be knocked down under a pre-emption analysis. Namely, Judge Lourie asked “the idea . . . the basic idea is providing information concerning various treatment regimens for particular diseases, and that’s preempted isn’t it?” [Listen]. As one can see, the “basic idea” that Judge Lourie posits is a much broader claim than the actual claim language of claim 1 (see claim 1 above). Any strawman claim such as that proposed in Judge Lourie’s question can be knocked down under a preemption analysis, assuming the proposed strawman claim is crafted broadly enough. Moreover, the phrase “the basic idea” sounds a lot like “the gist of the invention” or “the heart of the invention.” The Supreme Court denounced such “heart of the invention” analyses in Aro Mfg. v. Convertible Top Replacement Co., 365 U.S. 336, 344-45 (1961). “That result may not be obviated in the present case by calling the combustion stoker switch the `heart of the invention’ or the `advance in the art.’ The patent is for a combination only. Since none of the separate elements of the combination is claimed as the invention, none of them when dealt with separately is protected by the patent monopoly.” 320 U. S., at 667. “The fact that an unpatented part of a combination patent may distinguish the invention does not draw to it the privileges of a patent. That may be done only in the manner provided by law. However worthy it may be, however essential to the patent, an unpatented part of a combination patent is no more entitled to monopolistic protection than any other unpatented device.” 320 U. S., at 684.No element, not itself separately patented, that constitutes one of the elements of a combination patent is entitled to patent monopoly, however essential it may be to the patented combination and no matter how costly or difficult replacement may be. During the oral argument, Judge Taranto exhibited an independent streak when he asked a question that seemed to support patent eligibility. Namely, his questioning focused on a reexamination proceeding that had taken place for the patents at issue. Judge Taranto noted that the claims at issue had survived reexamination under §§102 and 103. He inquired if that should suffice to satisfy the “enough” test from Mayo. The counsel for the appellee noted that any patent that reaches the Federal Circuit in an infringement case has by definition already satisfied §§102 and 103. [Listen]. That raises the question: is the “enough” test of Mayo a “super-non-obviousness” test that a claim must pass in order to satisfy §101? Stated another way, must a claim not only be non-obvious as a whole under §103, but also must a particular subset of elements of the claim that are isolated as the result of a mental steps analysis be non-obvious under §101? That makes Mayo’s “enough” test under §101 a tougher non-obviousness test to pass than §103 itself — indeed, a super-non-obviousness test. As a matter of statutory interpretation, it seems inappropriate for the Mayo Court to have imposed an implicit standard under one section (i.e., §101) that is more stringent than an express standard recited in a related section (i.e., §103)? The appeal in SmartGene v. Advanced Biological Industries has not yet been decided. You can review the district court opinion [here]. You can listen to the entire oral argument [here]. It’s a good one. * You can listen to Judge Dyk characterize his opinion for the court in Cybersource [here]. My takeaway from his comment was that the rule of Cybersource is exalted over the policy of “no preemption.” Perhaps that highlights that decisions like Cybersource have now eclipsed the underlying policy of “no preemption” that such cases are founded upon. If you were curious whether the PTAB precedential opinion in the case Ex Parte Mewherter was under appeal to the Federal Circuit, it is not. I checked Public Pair this afternoon; and, the application has returned to prosecution before the examiner. I made the mistake a few years ago of loaning my copy of “Invention Analysis and Claiming” by Ron Slusky to a colleague — who promptly moved away . . . with my book. So, with the second edition of the book being released recently, I thought it would be a good time to re-stock my bookshelf. Glascock and Stringham, Patent Law, pp. 315-324 (1943) Hoar, Patent Tactics and Law, pp. 116-118 (3rd ed., 1950) Stringham, Patent Claim Drafting, pp. 215-243 (1952) Deller’s Walker on Patents, particularly at § 168 (as supplemented to 1962). In re Fuetterer, 319 F.2d 259, 266 (C.C.P.A. 1963)(footnotes 9 and 10). You are currently browsing the 717 Madison Place blog archives for January, 2014.